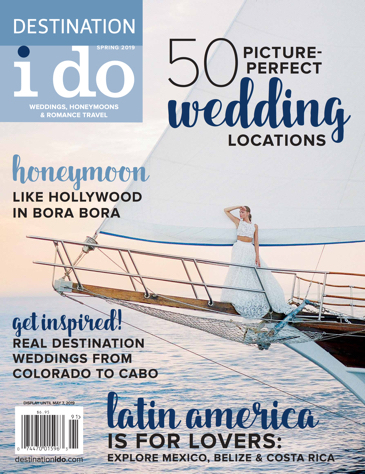 As always, we made an enormous effort to include trendy destinations, timeless advice and real-world inspiration for destination wedding brides and honeymooners alike. If you know a destination wedding is right for you, but aren’t sure where to tie the knot, we’ve got lots of custom-picked places perfect for your crowd! Check out our convenient road-trip locales or family-friendly crowd pleasers in places like Florida and Hawaii. 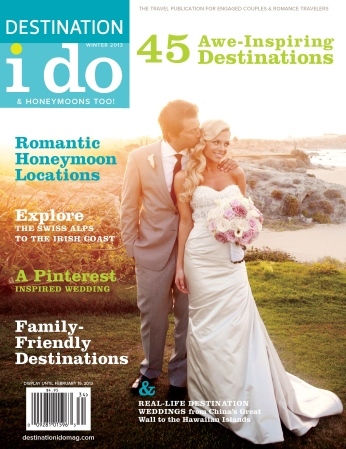 You’ll also find a Sonoma stunner in our Real Weddings section along with a colorful China fete, elegance in Beverly Hills, tropical allure in Hawaii, fun and funky in Las Vegas and a cultural combo in Ohio.